It was a wonderful evening for everyone who congratulated Julie and Lee’s wedding at Pleasantdale Chateau. Julie and Lee both got ready with their family and friends at the chateau. After prepping, they saw each other for the first time in the atrium by the swimming pool. The couple loved having their wedding photos taken at gorgeous places in and outside the Chateau. Bridal party and family also joined them shortly after for more pictures. 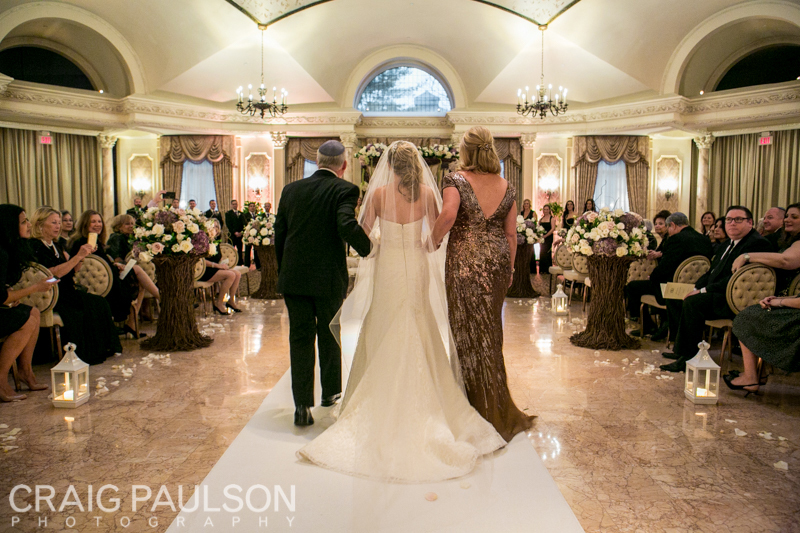 After a fun Tish and Bedeken, Lee was brought to his bride to sign the ketubah and move straight into a sweet ceremony. While it rained outside when the two were taking photos before the dance party, Julie and Lee enjoyed themselves with umbrellas in hand and the rain made the night more special. Julie and Lee’s parents looked so happy during Mezinka at the end of the night. With lots of toasts and delicious food, it was a memorable day for the couple and everyone invited.